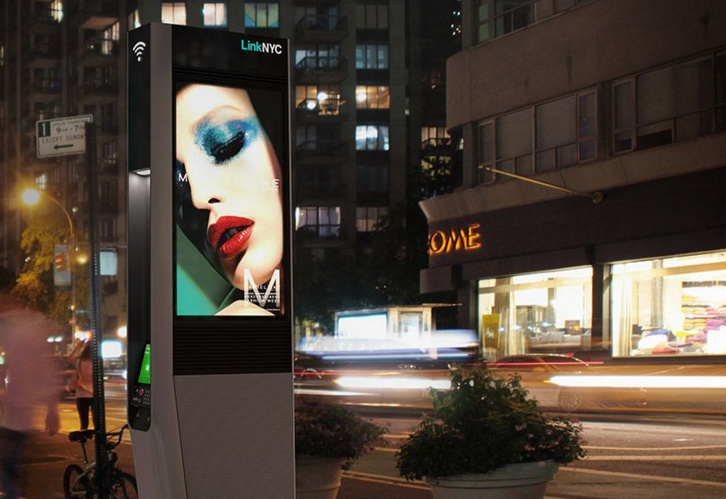 New York is finally getting its promised 5G gigabit Wi-Fi as the city starts upgrading payphone booths with the latest tech thanks to a public-private partnership that Google managed to get a slice of in an acquisition made earlier this year. Starting with a beta test today, up to 10,000 kiosks will get equipped with a touchscreen tablet for free internet and calls, a USB charging point and free Wi-Fi up to 20-times faster than the average broadband service. The advertising-funded Wi-Fi has been touted to work within a 150 foot radius and users can jump from hub to hub as they travel through the city. What looks like the first booth to be modified, at 15th St and 3rd Avenue, means the city is sort of making good on its promise to start the rollout in 2015, but only just! The plan was first announced back in 2014 after a competition created by the former Mayor’s office to transform the city’s street furniture for the 21st century. The scheme has hit a few snags over the past year, including accusations that poor neighborhoods will get slower speeds because advertisers will be less willing to sponsor booths there. Buzzfeed also conducted an investigation that saw the company behind the booths, Intersection, having to remove planned Bluetooth devices that would serve ads directly to people’s phones as they walked by. Intersection was created through a merger of the two companies delivering LinkNYC and was then acquired by a consortium of investors led by Googles’s Sidewalk Labs urban innovation company. The Labs launched in June this year and this is its first project to go live. A spokesperson from Sidewalk Labs told TNW that although tests have begun, the booths will not actually go live to the public until early next year.